I’ve been interested for some time in organizing a course focusing on developing competence in intercultural communication through fiction. An obvious choice are language autobiographies such as Eva Hoffmann’s Lost in Translation: Life in a New Language (1989) or Richard Rodriquez’ Hunger of Memory: The Education of Richard Rodriguez (1982), which offer insight into language and culture through individual stories, making language choice and the affective side of second language acquisition personal and concrete. Fantasy stories and science fiction, from Tarzan to the Hitchhiker’s Guide to the Galaxy provide radically different perspectives on human culture. They invite us to see our world through fresh eyes. The best of such fiction engages us emotionally, making us participants in the stories, and thus making them meaningful and memorable. Le Guin’s tales give us insights into different ways of being human, from the deceptively mundane (the Orsinian Tales) through the remote but plausible (the Hainish Cycle of science fiction novels), and into the enchantingly fantastic (the Earthsea stories). Her stories help us to understand others and ourselves. They demonstrate the great power that language has in creating imagined worlds. This came naturally to Le Guin, growing up with parents who were both anthropologists. That may have been at the root of her interest in languages, which is a major theme in her fiction. 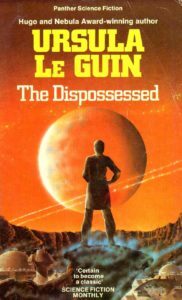 In the Dispossessed (1974), an anarchist society (on the planet Anarres) is evoked, which has no laws and no property ownership. The people of Anarres have developed their own language to reflect that culture and ideology. In that language, Pravic, there are no possessive pronouns (“my”, “your”, “their”, etc.) and there are no verbs such as “have” or “give” which index personal ownership. We find it easy to relate to her. 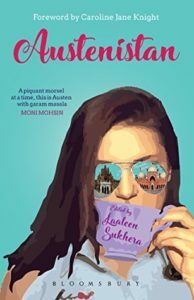 We find it easy to relate to her era and her characters because Pakistan 200 years later is still very similar to the Regency period… So one of the basic themes in, for example, “Pride And Prejudice,” was the law of primogeniture. If there is no son, then the father’s estate goes intact to his next male relative. We actually have a law like that here. How much more real and substantial can it be? While many historical cultural references may be shared, the early 19th-century British society depicted by Jane Austen is no less alien than that of a so-called ‘other culture’. The richness of thick description in Austen’s literature as art enables greater understanding than the fragmentation of available information about such foreign locations. That is the wonder of reading novels, being able to see common human characteristics through individual life histories. The stories intrigue us with their uniqueness and specificity, while the shared human experience they evoke may lead us to more acceptance of surface-level differences among us. An article in Science a few years ago described experiments that showed how literary fiction can play an important role in “understanding others’ mental states…a crucial skill that enables the complex social relationships that characterize human societies”. In other words, stories lets us experience what it is like to see the world from someone else’s perspective.